A lot of confusion among the administrators, students and guardians of private schools taking the Navratri vacation in Gujarat. Now, the days of counting in Navratri remain, while private school administrators in Surat decided to not leave the vacations during Navratri, while writing a letter to state Education Minister Bhupendrasinh Chudasama, the president of the private school board, Mahesh Patel said in a conversation with Morning News Focus. 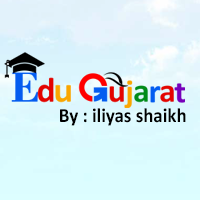 It is worth mentioning here that since the curriculum changed since this year is very long, for the purpose of science stream and SSC students, if this course is complete, the students can get the right time for repetition, due to the intention of most parents not to give Navratri vacancy to private schools. Mahesh Patel said that the presentation was done. On the other side, there is a problem also that, if the government school keeps going onward, and any unwanted incident may occur then the school administrators may be able to get 'ur from Chunar'. This time the education board For the limited time, for the limited time, the demand for relaxation in the path between the science stream and SSC, has been demanded for the relaxation of students of HSC (Commerce) students. He said that to present the DEO, he is still very confused to take Navratri vacation in the parents and the students who are present.